Today is Library Shelfie Day! Today is the fourth Wednesday in January, which means it’s Library Shelfie Day! It is a day created by the New York Public Library for book lovers to share their love of books for all the world to see! 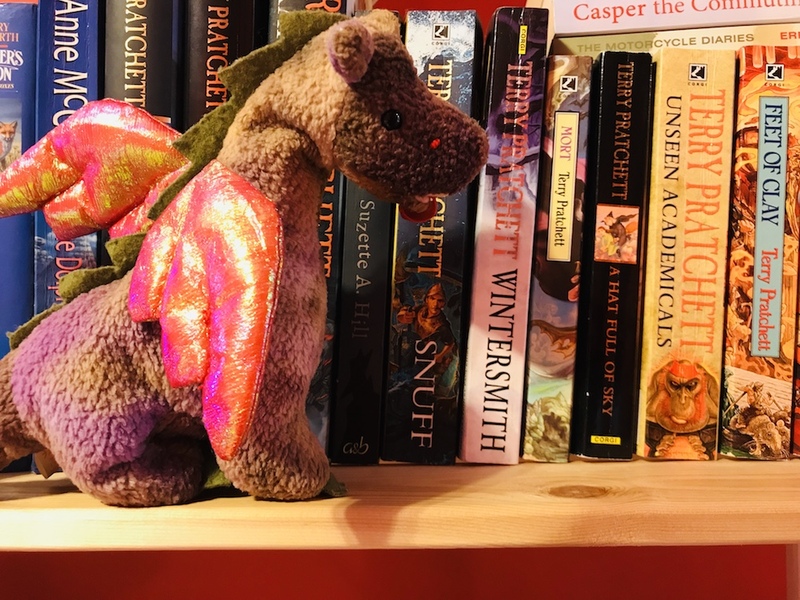 Here’s Scorch showing off my book collection. As you can see I’m a bit of a Terry Pratchett fan. While there are various ways to show off your book shelf, from organising them alphabetically to arranging them into some kind of art form, I prefer to just keep it simple. Speaking of books, there is a Beanie Baby that comes to mind today. Strangely enough, his name is….Books! Books the bear was released in three different colours: Red, Purple and Blue! They were released as Back to School bears back in 2005. They all had the same style number (40266) and has the same Birthday of 15th August 2004. Do you have any of these three versions of Books in your collection? Also to join in with Library Shelfie Day, you can join in by taking a picture of your bookshelf and sharing on Social Media with the hashtag #LibraryShelfieDay.